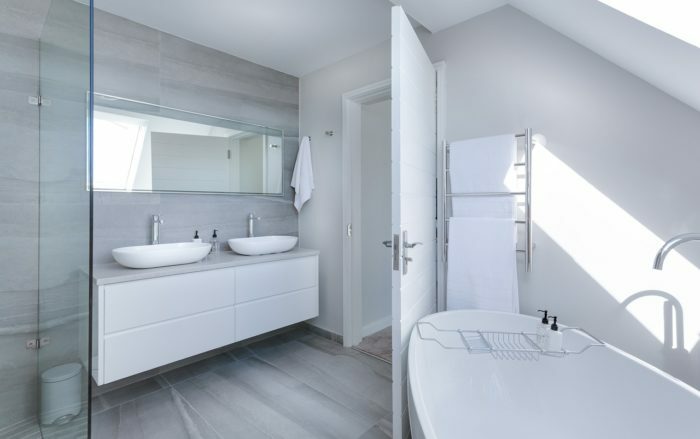 Broward 954 remodeling is the best in the market for handling commercial tiling, bath remodeling, kitchen remodeling, and interior/exterior painting. As an organization, our mission is to bring life back to your house within a short period. We understand that these tasks are quite expensive and time-consuming. They also require expertise and skills, and we are the leading in the market to help you in such a scenario. There are a lot of things that differentiate us from the rest of the market. We have been in the business for long, and we understand the meaning of quality services. Below are the things we handle when you decide to employ us. We promise that you will get results that you cannot get elsewhere. Do you understand what you need when it comes to commercial tiling? You need to know the exact area to cover. We have all the desired solutions for your areas regardless of whether they are vulnerable to continuous movement and traffic. We will help you choose the right tiles for such areas in your home. We will give you the best flooring and design effects. We will use your ideas to help you choose the desired tiles to get the best results. If you require tiling solutions for your commercial places, we are here to give you the answers. We will provide you with tiles that match your business. We have professional and social color codes for each kind of tiles. We have options that will not only help you purchase the tiles you need but also those that suit your taste. Choosing Broward 954 remodeling to do your commercial tiling will save you so much money because we are the most affordable in town and we produce the best results. If you desire to give your space a quick makeover, we are available to provide you with the desired options. On many occasions, we will take one day to do the fixtures to save you time, energy, and effort so that you attend to other tasks. Call us on a weekend when you are free, and we will accomplish the job for you. Many people love doing kitchen remodeling, and we are proud to say that we are masters at that job. We understand that kitchens are the center of functions in the home. When you choose us to do kitchen remodeling for you, we will add significant value to the house. Since the kitchen has so many activities taking place, redesigning it is a great project that you have to keep carrying out in the year. Many residents in Broward 954 love kitchen remodeling because it is a value addition project. We know that this is among your best investments when it comes to home improvement and value addition to the home. In particular, this project offers high returns on value for all remodeling forms. The project needs a lot of work, and the results are immense. Since kitchens are areas that take high traffic on a regular basis, it is crucial to come up with functional layouts when doing kitchen remodeling. We have professionals at Broward 954 remodeling that will help you on the journey of doing the renovation in the kitchen and also help you with creativity. We have the best remodeling software that is easy to use to help you decide on the desired remodeling options. We provide general kitchen remodeling so that it is possible for your woman or mother to move freely around the house. Making kitchen remodeling great points to different patterns and designs that give your kitchen additional space and it all starts with planning. Master bath remodeling will make your room pleasurable to use and will result in your potential buyers noticing it. This project will make the home and shower outstanding in the competition when you decide to put the selling sign in your yard. Nobody loves the idea of walking on the cold floor in winter; but when you employ Broward 954 remodeling to put heating mats under your tiles, you will never need slippers again. We will give you different varieties in the market and help you choose wall-mounted thermostats for the adjustments. Since we have been in this business for long, we will make sure that your bath remodel does not end without beautiful ceramic, marble, or granite tiles in the shower. We will also give you the options we have when it comes to frameless enclosures. We have enclosures for all sizes of showers, even oversize showers that accommodate two or more people to make it luxurious. At Broward 954 remodeling, you will get shower pans made from fiberglass available in different sizes. We also have soaking tubs that will make the selling of your house possible. These tubs come in many sizes, lengths, and heights so that they become favorable for your remodeling project. We will make your bath luxurious by installing marble vanity tops that are cultured, and they accent to the master bath in the same fashion as the kitchen. We promise to do a great job in your bathroom. At Broward 954 remodeling, we will give you a painting job that will enhance the beauty and feel of the home and hide minor flaws. Interior/exterior painting is the same as people applying makeup, but this is a long-term solution. This makeup will give your walls additional protection. The paint and application we give your walls inhibit the movement of vapor and moisture in the walls reducing mold, rot, and problems of condensation. We take this task very seriously. We provide equal attention to the exterior and interior painting of the structure. The paint we recommend for the exterior will give your residence ambiance. We will make your home as relaxing and cozy as possible depending on the textures and colors you choose. This applies to all rooms of the house. Professionals at Broward 954 remodeling will paint other areas with bright colors to enhance illumination. We will make the paint very pleasing because it is what you will see most of the time. We know that exterior painting gives the house first impressions. This is what visitors see first, and it is the only aspect that passersby interact with. We will provide you with a great painting job that you can maintain with ease. We will remove all the cracking, peeling, and discoloration before painting. Aside from being unpleasing to the eye, the cracks and peels may lead to inefficient insulation to walls and other problems like mold and rotting. Although we will give your home long-lasting quality paint, you will have to be carrying out maintenance. We advise you to keep checking for damages on a regular basis. We encourage you to carry out regular cleaning. You can scrub stains from your interior walls. We have power washers that will help you clean the exteriors. If defects are remaining, you can opt for total retouching or interior and exterior repainting.